Sjögren's is a systemic disease, affecting the entire body. While the disease's four hallmark symptoms are dry mouth, dry eyes, fatigue and joint pain, symptoms vary from person to person. Although no clear association between Sjögren’s and nail disorders has been reported, Sjögren's patients frequently complain of this problem. Many different dermatologic conditions including some autoimmune disorders, infections, dryness and certain medications can affect nails. 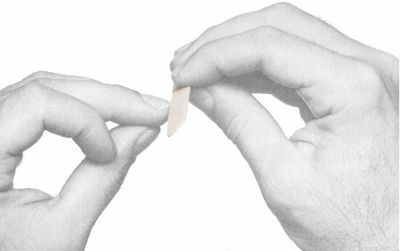 Brittle nails are characterized by hardness, peeling, crumbling, fissures, excess longitudinal ridges or lack of flexibility of the finger and toe nails. This sometimes causes pain and interferes with normal daily activities. Keep the nails short. This prevents the nails from catching on things or acting as a lever and causing further damage. Protect the nails when performing wet work (like washing dishes) by using rubber gloves and cotton glove liners. Avoid excess contact with water or chemicals (including nail polish remover) which can cause dryness. Use moisturizer on your nails multiple times per day and reapply the moisturizer after your hands come in contact with water. You can use the same moisturizer used for your dry skin. Steer clear of cosmetic products such as artificial nails and nail wraps which can cause damage. * If your dermatologist approves, try a course of biotin for your have brittle nails. * If you're diagnosed with a fungal infection of your nails, your dermatologist can discuss a variety of treatment options which are available. The SSF thanks Adam I. Rubin, MD for authoring these tips. Dr. Rubin is Director of the Nail Practice & Assistant Professor of Dermatology, Perleman School of Medicine, University of Pennsylvania, Philadelphia, Pennsylvania. Thank you for your continued support of the Sjögren's Syndrome Foundation (SSF) and our work to better the lives of those who suffer from Sjögren’s. 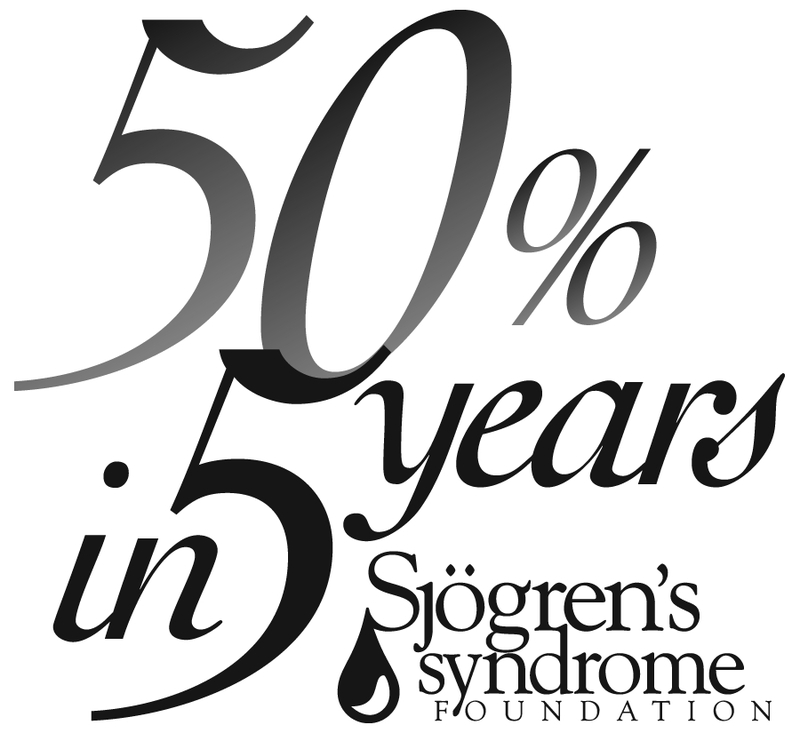 We are excited about the progress we continue to make and the recent advancements in Sjögren's research and awareness speaks to the continuous efforts of the SSF, our Board of Directors, Medical and Scientific Advisors, Awareness Ambassadors and the hundreds of volunteers throughout the country. But the greatest impact is being made by YOU! It is your support that has made our achievements over the past year possible. We are truly grateful for your part in our growth and success. Each year, we continue to fight to maintain our hard-won achievements and will make even greater strides forward in the upcoming year. I hope you will renew your support with a year-end gift to the SSF, and give what you can to support our efforts to create a better future for all patients living with this debilitating disease. There are many different types of neuropathies in Sjögren’s. These neuropathies can have different causes and may require different diagnostic techniques & therapeutic strategies. Unlike other autoimmune disorders, in which the neuropathies predominantly cause weakness, the neuropathies in Sjögren’s primarily affect sensation and can cause severe pain. Recognition of unique patterns & causes of neuropathies in Sjögren’s is important in arriving at appropriate therapies. 1. Recognize that neuropathic pain is a chronic disease. Just as most causes of neuropathies and neuropathic pain in Sjögren’s do not come on suddenly, reduction of neuropathic pain can take a while. 2. Initial and predominant neuropathies in Sjögren’s can occur anywhere in the feet, thighs, hands, arms, torso and/or face. 3. Many different symptomatic therapies for neuropathic pain are available. Both physician and patient awareness of potential benefits and side-effects can help tailor an appropriate approach. 4. While the class of tricyclic anti-depressants (TCAs) often constitutes a first-line tier of therapy in other neuropathy syndromes, the TCAs can increase mouth and eye dryness and therefore are not routinely used as front-line therapies in most Sjögren’s patients. 5. Electrophysiologic tests may help in the diagnosis of neuropathies affecting larger nerves which are coated by an insulator called myelin. However, neuropathies affecting smaller-fiber nerves that lack this myelin coating cannot be detected with these tests. 6. Special diagnostic tests, including the technique of superficial, punch skin biopsies (small biopsies of three millimeters and not requiring any stitches), can help in the diagnosis. 7. A relatively rare neuropathy can cause significant weakness in Sjögren’s patients. In contrast to other neuropathies which develop slowly, this neuropathy can present with very abrupt-onset of weakness. This so-called “mononeuritis multiplex” occurs because the blood-flow through vessels which nourishes nerves is suddenly compromised. 8. In general, immunosuppressive medications are almost always warranted to treat “mononeuritis multiplex” neuropathy. In contrast, the role of immunosuppressives is not well-established in other neuropathies, including neuropathies that cause pain but are not associated with weakness. 9. Sjögren’s patients frequently wonder whether pain associated with a neuropathy means they are at an increased risk for more severe motor weakness. While there are exceptions, if weakness is not present at onset, it most likely will not occur. 10. Neuropathic pain can be alleviated and assuaged, although there may initially be a “trial-and-error” process with different and perhaps multiple agents. The information from this post, provided by rheumatologist and neurologist Dr. Birnbaum, was first published in The Moisture Seekers, SSF's member newsletter. 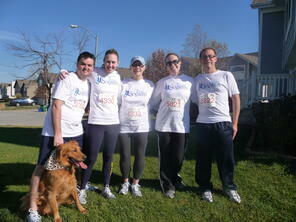 Your Support is Making a Difference for Sjogren's! Your Support is Making a Difference for Sjögren’s! It's been a busy and exciting fall here at the Sjögren's Syndrome Foundation! In addition to the SSF's fall community awareness events, the Foundation staff is now getting ready to attend another scientific meeting, the American College of Rheumatology's (ACR) Annual Meeting, to focus on professional education of Sjögren's. At the ACR Annual Meeting, the SSF will be both an exhibitor and presenter, in addition to holding working groups for those who treat Sjögren's. This meeting is the SSF's biggest venue for reaching rheumatologists and providing them the educational materials needed to better identify and treat their Sjögren's patients. These SSF initiatives and programs that further our mission are only possible because of your support. As you can see below, there are many different ways that you can help this fall. I encourage you to learn about these opportunities and join our fight to conquer Sjögren's! On behalf of the SSF, thank you for sharing your story, telling others about the SSF, attending our events, volunteering your time, donating and helping create a future of hope for all Sjögren's patients. New T-Shirt Design for Team Sjögren’s Turkey Trot Kits! Learn what was Turkey Trot Alumni Erin's favorite part of joining Team Sjögren's! My family and I wore our Team Sjögren’s T-Shirts and as we were racing, multiple people would comment about their friends, family or themselves being affected by this disease. Knowing that the Turkey Trot was bringing people together for a cause I believed in was a wonderful feeling. Whether you run or not, if you are a patient or know someone with this disease, we are all part of Team Sjögren's. We hope you will consider the Sjögren's Syndrome Foundation when choosing where to allocate your Combined Federal Campaign donation this year! Tell your co-workers, friends and family how important it is to choose and write in the SSF on their campaign forms too! Every dollar impacts Sjögren's! For more information, please contact the SSF at 1-800-475-6473. The SSF's annual National Patient Conferences are the best way to learn more about Sjögren's. Over the years, these Conferences have helped thousands of patients and their family members gain a better understanding of Sjögren's while giving them an opportunity to meet fellow Sjögren's patients. If you want to be your own best patient advocate by gaining a thorough understanding of all the key aspects of Sjögren's, then our National Patient Conferences are for you! Dryness from Sjögren’s may affect any organ in the body that secretes moisture, because the body’s immune system is mistakenly attacking its own moisture-producing glands. Almost every Sjögren’s patient experiences some degree of dry mouth, which is caused by a decrease in both the quantity and quality of saliva. "A human being normally produces approximately 1.5 liters of saliva per day. There is a typical diurnal circadian rhythm in the production of that saliva with one peak in the mid-morning followed by a relative decrease until the second peak occurs around early evening. Saliva flow normally is decreased at night. Saliva is produced by several glands: the submandibular glands (which lie bilaterally just under the posterior jaw) produce most of the quantity of saliva (45%) and it is a mixed fluid with both mucous (thick, stringy fluid) and water but containing most of the proteins; the paired parotid glands (which are in the mid-face just in front of the ears) produce primarily serous (or watery) fluid and accounts for about 35% of the total quantity; the sublingual glands (again in a pair just beneath the anterior tongue) are much smaller and contribute only about 10% of the total volume; and finally there are hundreds of small minor salivary glands in the lips, palate and throat which contribute a relatively small, but important portion of natural salivary flow. The normal quantity of saliva naturally provides necessary oral lubrication and moisture to assure comfort and function for the individual, but saliva does much more than that. At least equally as important as this volume of saliva, if not more so, is the composition of saliva, which is rich in constituents which have potent digestive, coating, protective, antimicrobial, antiacid, lubricative and homeostatic properties. Saliva is much more than water. In fact, saliva contains approximately 60 important, protective constituents including: immunoglobulins,electrolytes, buffers, antimicrobial enzymes, digestive enzymes and many others, all of which make saliva an essential contributor to the health and homeostasis of the oral cavity. This is the reason that water or artificial salivas are a poor substitute; none of them have the rich composition of ones own natural saliva." This post is the introduction from "The Importance of Silvia" article written by Nelson L. Rhodus, DMD, MPH, FICD, that was first published in The Moisture Seekers, SSF's member newsletter. SSF members can click here to read the full article on the members section of the website. I am honored that on July 1, I was introduced as the new Chairman of the Sjögren’s Syndrome Foundation Board of Directors. 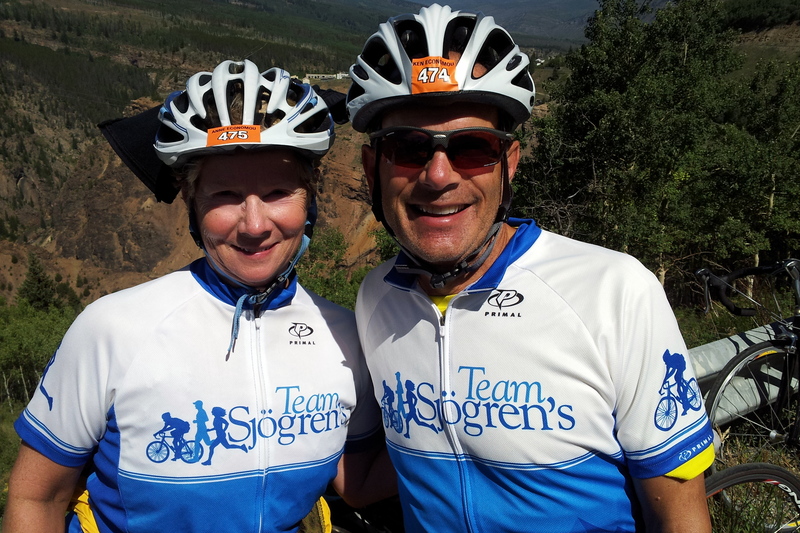 My wife, Anne, and I became passionate volunteers for the SSF when Anne was diagnosed with Sjögren’s, and I have seen first-hand what it’s like to live with this devastating chronic disease. The SSF is an inspiring organization and I am personally excited, as well as honored, to be leading us over the next two years! I hope you will join me, and also consider making a donation, as the SSF embarks on a two-year journey to intensely focus on changing the way Sjögren’s is treated, managed and monitored. We can't do this without you. The past few years have seen amazing progress in awareness and research for Sjögren's. At the last American College of Rheumatology (ACR) Annual Meeting, the premier scientific and clinical meeting for rheumatologists in the United States, more abstracts and presentations specific to Sjögren's were on the program than ever before. The SSF annual educational luncheon, held for rheumatologists during ACR, was standing room only and we had more rheumatologists visit our exhibit booth requesting complimentary patient brochures for their offices than at any previous ACR meeting. Additionally, during ACR, late breaking news was announced that six genes specific for Sjögren’s were identified by SSF-supported research at the Oklahoma Medical Research Foundation. This identification is the first time that genes have been connected solely to Sjögren's and marks the beginning of unraveling the genetic basis for Sjögren’s. This research was a huge breakthrough and could lead to determining a patient’s individual risk of certain complications and developing future treatment. That is why today I am asking for your support. The SSF needs your help to expand our efforts to educate healthcare professionals, increase clinical trials for new therapies and to develop better diagnostics. Just imagine what these accomplishments would do for the quality of life of a Sjögren’s patient - a matter very close to my heart. As a proud husband of a Sjögren’s patient, I see the struggles that my wife experiences each and every day and I want nothing more than for her disease to be nonexistent. The critical work of the SSF brings us HOPE for the future as they lead the charge to improve the lives of all patients. Thank you in advance for your gift as we strive to keep our momentum alive and impact the future of Sjögren’s. One of the reasons that physicians feel comfortable in prescribing Plaquenil is its low risk to benefit ratio. This means that the side effects of Plaquenil are mild and infrequent compared with its potential benefits. As with any medication, allergic reactions including skin rashes and non-allergic reactions can occur. The side effect that is of greatest concern is retinal toxicity. Retinal toxicity of Plaquenil may manifest itself with subtle disturbances of the retinal pigment epithelium which may eventually lead to complete destruction of the macula in the form of bull’s-eye maculopathy. Several risk factors may increase the likelihood of retinal toxicity from Plaquenil such as, age of greater than 60 years, daily dose more than 6.5 mg/kg; use of the drug more than 5 years, obesity, preexisting retinal disease and, renal or liver failure. Early detection of the maculopathy is of critical importance to discontinue Plaquenil in order to stop or slow retinal damage. Unfortunately, clinically evident early structural changes can be subtle and usually preceded by abnormalities in functional tests such as visual field examination, multifocal electroretinography (mfERG), fundus autofluorescence (FA) imaging, and optical coherence tomography. Recent findings suggest that Plaquenil toxicity can develop among patients that are taking the drug at a daily dose lower than the suggested “safe” dose and/or have been on Plaquenil for shorter than five years. Unfortunately, cessation of Plaquenil intake may not be a remedy since not infrequently, patients will develop objective evidence of progression despite discontinuation of the drug. Thus, the possibility of toxicity should not be disregarded and close monitoring of the ocular findings is required. This information provided by Neil I. Stahl, MD & Tongalp H. Tezel, MD was first printed in the The Moisture Seeker, SSF's patient newsletter for members.